Room for Perspectives. The American Residential Estate. Delve into your American dream and make it come true! In the American Residential Estate we create perspectives and meet upscale demands as to modern living: spacious, comfortable, and flooded with light in a park-like environment – just as you image your rental flat. In total, the American Residential Estate consists of almost 400 flats that meet the most diverse requirements. The old centre of Plittersdorf with its historic façades presents a picturesque townscape. 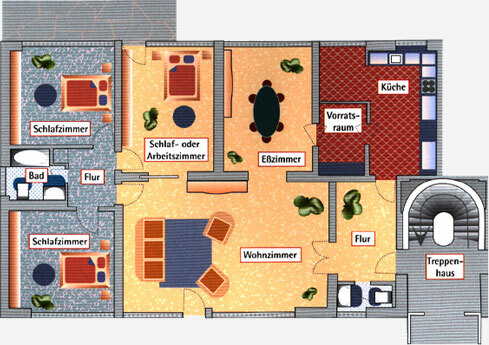 At the same time, you will find all shopping facilities on the spot, optimal medical care, and – in addition to the central location – you have outstanding connections to the city centre of Bonn thanks to the very good infrastructure and local public transport. 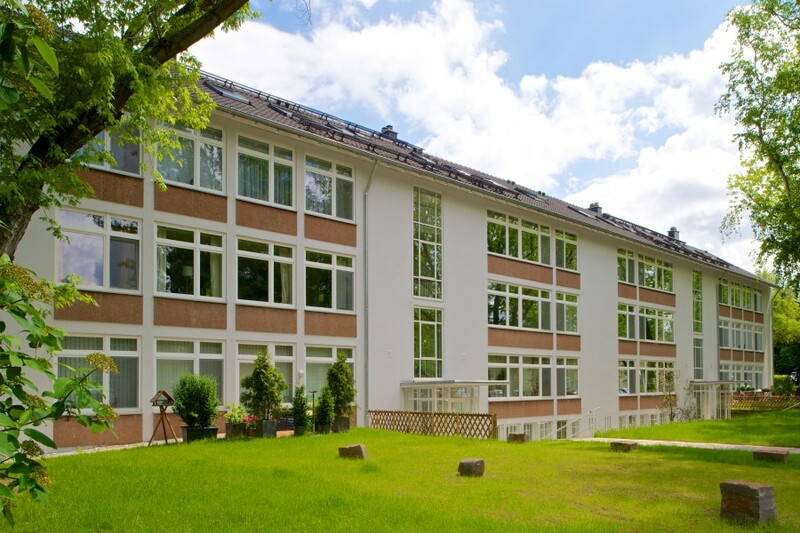 In the immediate vicinity of the family-friendly flats with all modern conveniences there are schools, kindergartens as well as a broad range of leisure-time possibilities. The nearness of the River Rhine creates a very high recreational value – Plittersdorf ranks among the preferred residential areas in Bonn. 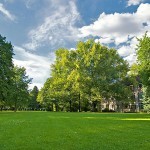 Initially, the American Residential Estate has been built to give home to the staff of the American Embassy as a park-like real estate, with spacious plot areas and broad walks between the buildings. 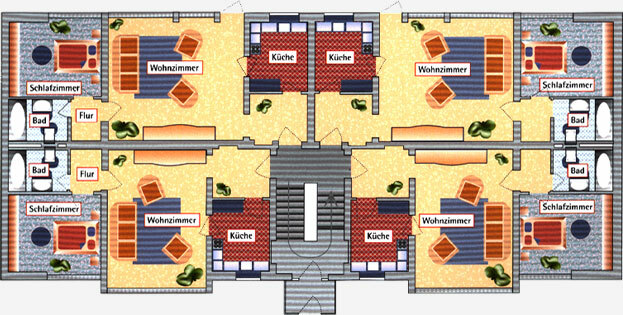 The layout of the flats corresponds with the spacious building concept. The precept is individuality: whether on one level or as a maisonette – two, three, or more rooms – different types of flats enable relaxed living conditions with a great potential for free development on a floor space from 60 m² to 270 m². 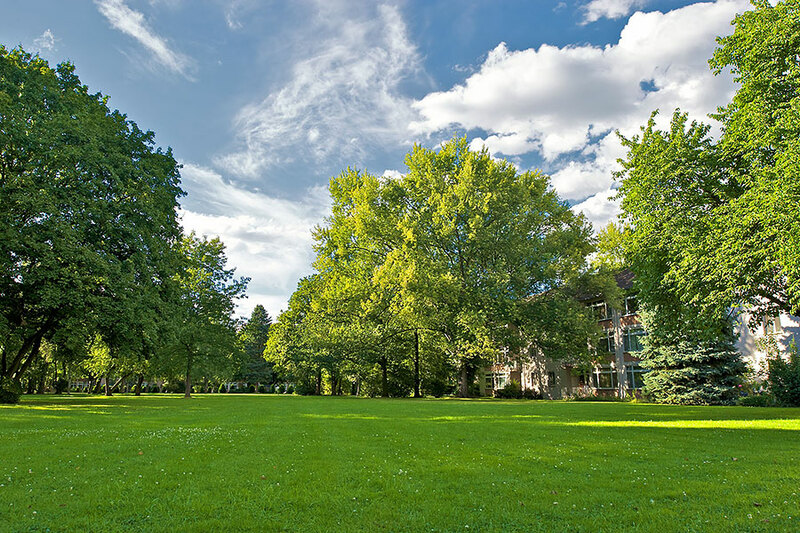 The spacious outdoor facilities, the leisure park „Rheinaue“ in the immediate vicinity and the River Rhine characterise the environment and create an appealing setting featuring a high recreational value. As a rule, the flats are equipped with built-in cupboards and built-in kitchens. 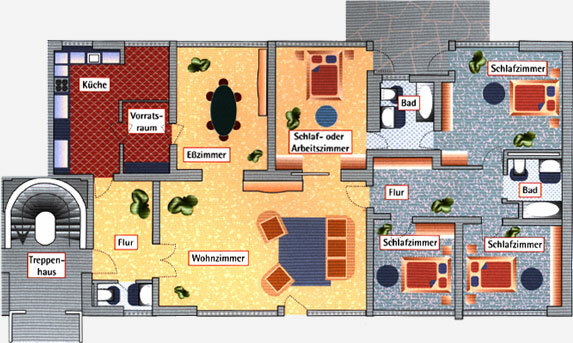 Some types of flats have parquet flooring in the living rooms and dining rooms, respectively. The lavish flats are characterised by the spaciously designed living and dining area flooded with light. At a glance. Details and things worth knowing. 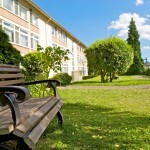 The diverse types of flats with balcony or terrace offer convenient housing space and plenty of room. 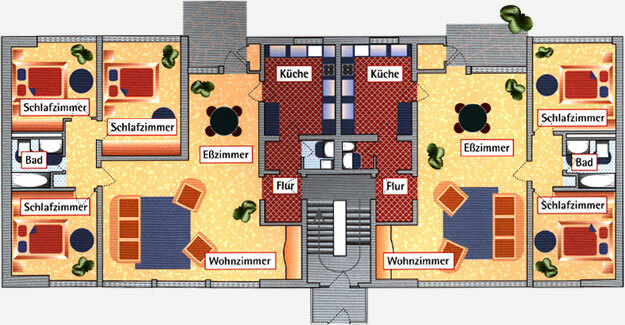 Especially families will find the suitable space concept here. Playgrounds, kindergartens, and schools are in the immediate vicinity. 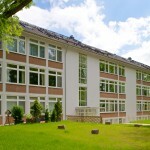 Bonn International School is located directly on the spot. 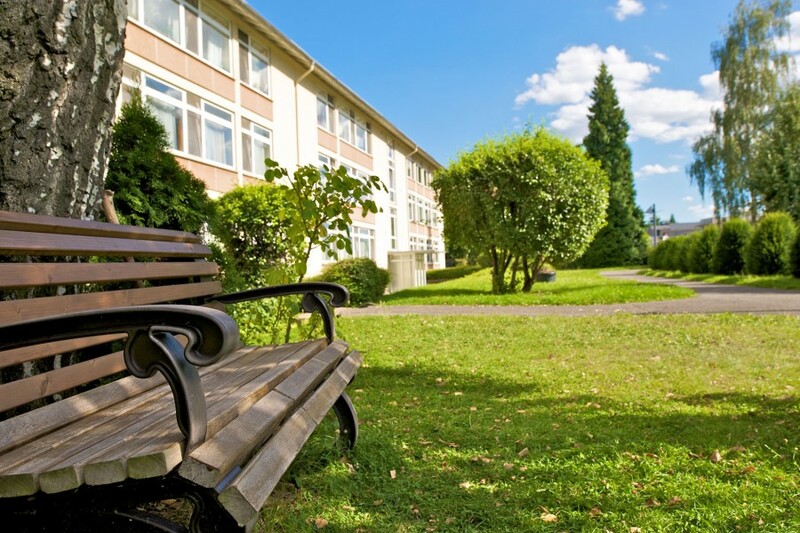 You will find shopping facilities (discounter, bakery) opposite the American Residential Estate, more shops and medical practices are in the centre of Plittersdorf nearby. The motorways A562, A565, and A59 are easily accessible at short distances. Thanks to the outstandingly built network of local public transport there is an optimal connection to the city centre and to Bad Godesberg. 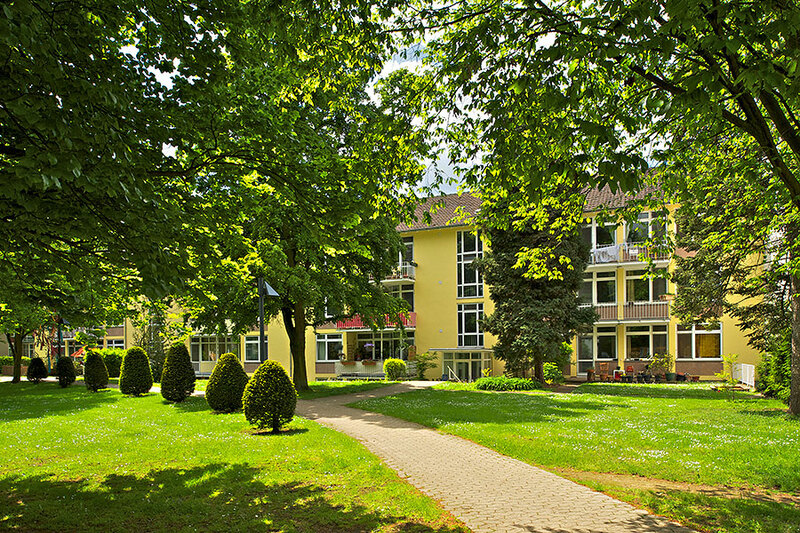 The housing area is directly adjoined to the leisure park „Rheinaue“ that had been established for the German Horticultural Show in 1979 and since then has been the local recreational area of the city. 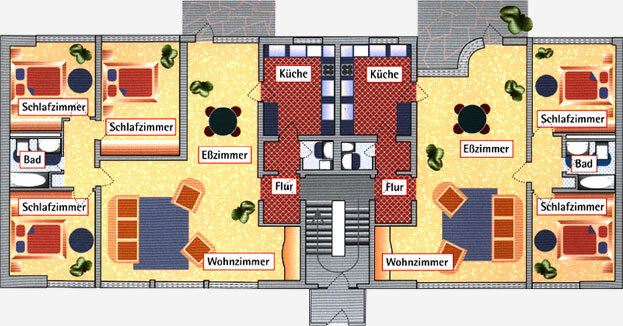 Many options for leisure activities can be found there – directly at the River Rhine.